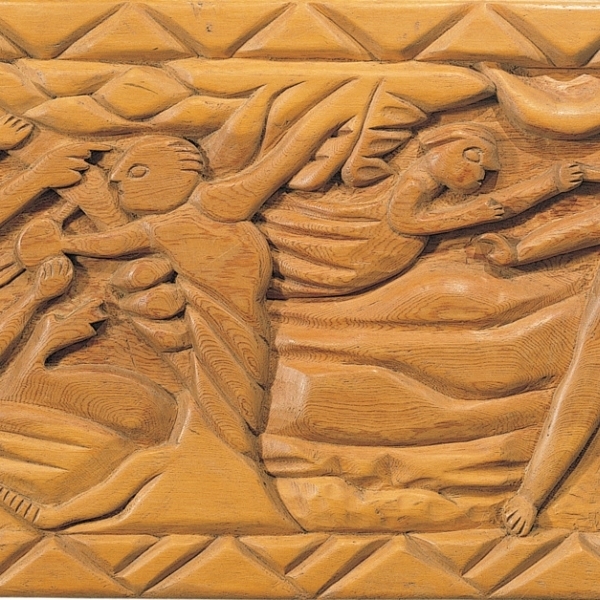 (Santa Fe, New Mexico) – December is always a busy month at the Museums and Historic Sites under the New Mexico Department of Cultural Affairs, from beloved traditions to new events. Below is a list of holiday events planned at various Department of Cultural Affairs divisions next month. SATURDAY & SUNDAY, DECEMBER 1 & 2, 2 p.m. SUN 7 p.m. Baila! Baila! and the NHCC Present Christmas in New Mexico National Hispanic Cultural Center, Albuquerque Journal Theatre 1701 S. 4th St., Albuquerque (505) 246-2261 Baila! Baila!’s annual holiday show is a whirlwind extravaganza, taking audiences on a journey through the sights and sounds of Christmas in New Mexico. Music, song, and dance with the traditional Southwestern flair that has been cultivated in our state over the generations, as well as unique segments saluting Christmas traditions from around the world. $17, $22, $27 w/ $2 discount for seniors, children, & NHCC members. SATURDAY & SUNDAY, DECEMBER 1 & 2, 10 a.m.-3 p.m. Young Native Artists Winter Show & Sale New Mexico History Museum 113 Lincoln Ave., Santa Fe (505) 476-5200 Begin collecting art, jewelry, pottery and more from the next generation of Native American artists and craftspeople associated with the Palace of the Governors’ Portal Program will demonstrate and sell their own arts and crafts in the New Mexico History Museums’ Meem Community Room. Free event. FRIDAY, DECEMBER 7, 5-8 p.m. Christmas at the Palace Palace of the Governors New Mexico History Museum 105 W. Palace Ave. (505) 476-5200 An evening of hot cider, cookies, live music, a chance to operate an antique printing press, old fashioned activities, a visit from Mr. and Mrs. Claus, all in the legendary magic of the Palace of the Governors. Free Family Event. (Donations of non-perishable food welcomed.) Enter through the Palace at 105 W. Palace Ave. The History Museum and Palace will close at 3 p.m. to prepare and remains closed for the evening. SUNDAY, DECEMBER 9, 5-7 p.m. Las Posada Santa Fe Plaza/ Palace of the Governors Courtyard Palace of the Governors New Mexico History Museum 105 W. Palace Ave. (505) 476-5200 Candle-lit procession of Las Posadas travels around the Santa Fe Plaza and concludes in the Palace Courtyard - recreates Mary and Joseph’s search for a place to give birth to the Baby Jesus—and includes innkeepers who deny the Holy Family a place of rest. Carols, cookies and hot cider in the Palace Courtyard. History Museum and Palace will close at 3 p.m. to prepare for this event. Free event. WED., DEC. 12 & 19, FRI, DEC. 14 , TUES. DEC. 18, 10 a.m. – 2 p.m. Holiday Ornament Workshops Museum of Indian Arts and Culture, 710 Camino Lejo (on Museum Hill), Santa Fe (505) 476-1269 Join us for this ornament workshop! Stop by any time between 10 a.m. and 2 p.m. Dec. 12 & 14 - Micaceous and Polymer Clay Dec. 18 – Painted Gourds Dec. 19 – Corn Husk Dolls While this is a free activity, participants are asked to please make an ornament for MIAC, too! Our tree lighting is Dec. 21 & we need ornaments to adorn the tree. FRIDAY-FRIDAY, DECEMBER 14-21, various times (check website) Planetarium Laser Shows New Mexico Museum of Natural History & Science 1801 Mountain Rd. NW, Albuquerque (505) 841-2800 Experience Holiday toons and classic rock concerts choreographed to laser-light images. Dec. 15, band Pink Freud performs Pink Floyd songs live along with the laser. SATURDAY, DECEMBER 15, 10 a.m.–4 p.m. Garrison Program Holiday Edition Ft. Stanton Historic Site Take 380 south of Capital, left on 220. Capitan, NM (575) 354-0341 (museum) Special holiday edition of Fort Stanton’s monthly garrison program! Visitors can create historic holiday crafts and interact with living historians to discover what life was like at a frontier fort during the holiday season. 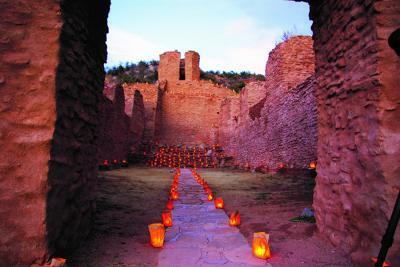 SATURDAY, DECEMBER 15, 6–9 p.m. Las Noches de Las Luminarias Ft. Selden Historic Site 1280 Fort Selden Road, Radium Springs, NM 88054 (575) 526-8911 More than 800 glowing candles surround the fort ruins along with holiday music, a cozy campfire, and a warm cup of cocoa as you tour the grounds. Make your own holiday decorations while you enjoy the sights and sounds of the season. Please dress warmly. All activities are free. Call 575-202-1638 for information. NM I-25, Exit 19, Radium Springs and follow the signs. SUNDAY, DECEMBER 16, 12-4 p.m. Holiday Open House New Mexico Museum of Art 107 W. Palace Ave., Santa Fe (505) 476-5072 Holiday Open House is a round-robin of puppet plays, art making projects, photos with Santa Claus, and other activities. Marionette plays "A Party for Papa Gus" at 1-1:30 p.m. and 3 p.m. - 3:30 p.m. St. Francis Auditorium. Make Your Own Stick Puppet 12-4 p.m. Main Lobby Roni Rohr and friends help children of all ages create their own puppet character. Find Freckles 12-4 p.m. Rear Lobby Freckles the marionette is hiding somewhere in the museum.! Selfies with Santa! 1:30 – 2:15 p.m. and 3:30 – 4 p.m. St. Francis Auditorium Say Goodnight to the Marionettes 3:30 p.m.-4 p.m. St. Francis Auditorium Help place the marionettes into their boxes. SUNDAY, DECEMBER 16, 1-4 p.m. Nacimiento Open House with J. Paul Taylor Taylor-Barela-Reynolds-Mesilla 2231 Avenida de Mesilla inside the Mesilla Town Hall. (575) 524-3262 ext. 117 A fascinating view of more than 175 nacimientos (nativity) scenes from all over the world on display in the Taylor family home. 2346 Calle Principal on the Old Mesilla Plaza. Free to members. $5 for non-members. FRIDAY, DECEMBER 21, 2018 4-7 p.m. Museum Hill Holiday Stroll Museum of Indian Arts & Culture/Museum of International Folk Art Museum of Indian Arts and Culture 710 Camino Lejo, Santa Fe 505-476-1269 Museum of International Folk Art 706 Camino Lejo, Santa Fe (505) 476-1200 Join us for what we hope will become an annual tradition on Museum Hill! All museums on the Hill will be open: Revisit online listings closer to the event for program changes . MIAC - Free admission, Tewa Women’s Choir in MIAC Theater from 5-6 p.m., Renate Yazzie (Diné) – pianist – playing a mix of classical and holiday music, at 5:30 p.m. & 6:30 p.m. in the Museum lobby, outdoor tree lighting, ornament workshop for adults/families in Museum classroom, holiday refreshments, Traditional Western holiday music sung in Diné piped outdoors MOIFA –make your own farolito and visit MOIFA’s Art Mercado with Holiday Gifts from $5 and up. MONDAY, DECEMBER 24, dusk Luminarias in Lincoln Lincoln Historic Site Lincoln, NM 88338 (575) 653-4025 Annual luminaria show, Santa arrives on a longhorn steer, hot chocolate served. SATURDAY, DECEMBER 28, 4:30-7 p.m. December Letters from the Reservation Ft. Sumner Historic Site/Bosque Redondo Memorial 3647 Billy the Kid Dr, Fort Sumner, NM 88119 (575) 355-2573 A free light supper from 4:30 p.m. to 5:30 p.m. followed by letter readings in the auditorium. About New Mexico Historic Sites: http://nmhistoricsites.org/ On March 14, 1931, the New Mexico Historic Site system was established by an Act for the Preservation of the Scientific Resources of New Mexico, to "declare by public proclamation that historic and prehistoric structures and other objects of scientific interest that are situated upon the lands owned or controlled by the State of New Mexico, shall be state monuments, and may reserve as a part thereof such parcels of land as may be necessary to the proper care and management of the objects to be protected." Under the direction of the New Mexico Department of Cultural Affairs, six sites are open to the public: Coronado, Fort Selden, Fort Stanton, Fort Sumner Historic Site/Bosque Redondo Memorial, Jemez, and Lincoln. The Los Luceros Historic Property is open to the public during scheduled events and by appointment (505) 476-1130. In 2004, the J. Paul Taylor Family bequeathed the Barela-Reynolds House and Property on the Mesilla Plaza to the Department of Cultural Affairs. Still serving as J. Paul Taylor’s private home, the property will become a Historic Site after his passing. 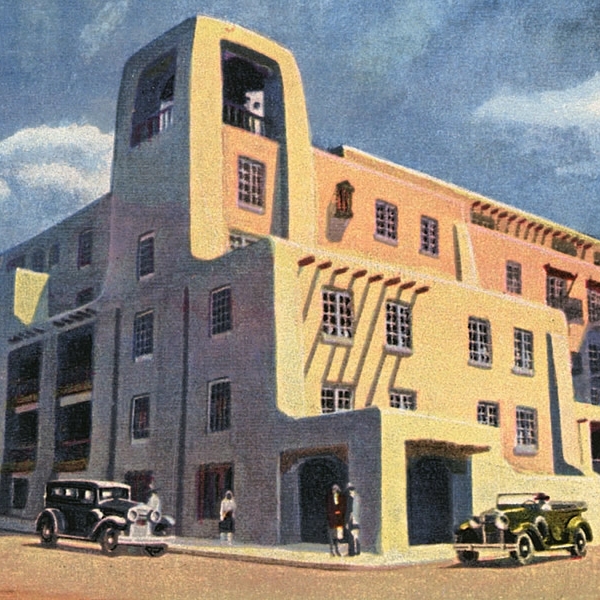 Events, news releases and images about activities at New Mexico Historic Sites, and other Department of Cultural Affairs divisions can be accessed at media.newmexicoculture.org.? 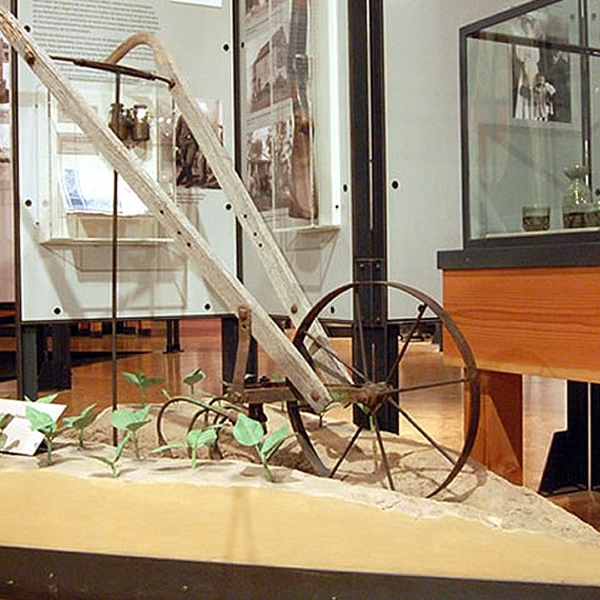 Your ticket to New Mexico's exceptional Museums and Historic Sites. From Indian treasures to space exploration, world-class folk art to awesome dinosaurs—our museums and monuments celebrate the essence of New Mexico every day. The Cultural Atlas of New Mexico leads you to historic and cultural places throughout the Land of Enchantment. Organized by region, proximity and interest, the Cultural Atlas will help you find where you belong.